An early day-cab KW K-model with a spot of bubble-trouble. 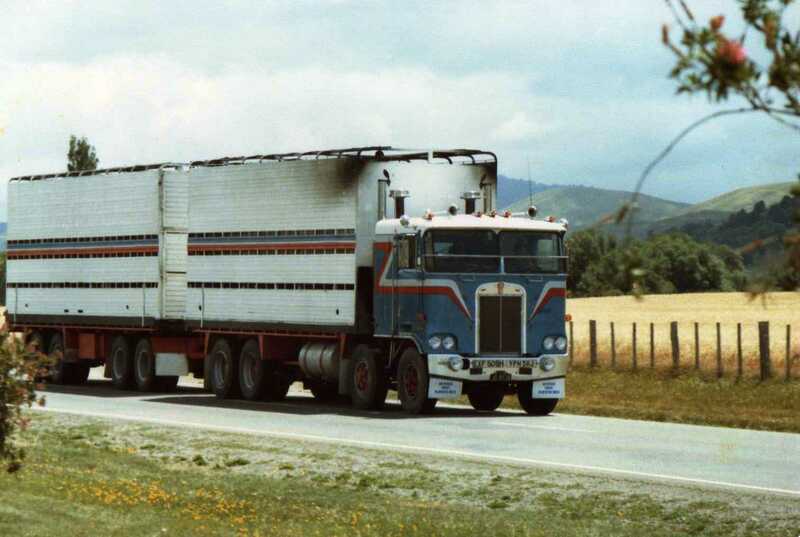 One of the first NZ Aerodynes with a sheeted load of soft drinks. Monier bricks and roofing ran this 1979 K124 with it's own crane. 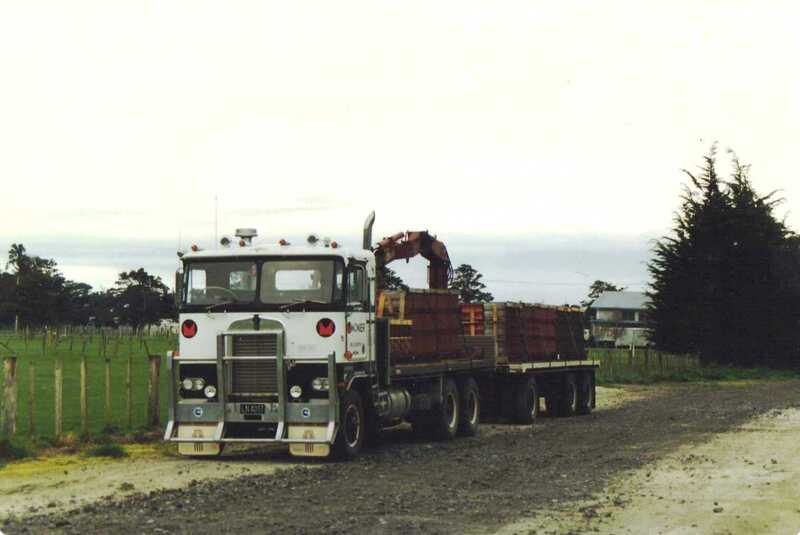 Produce was carried between Auckland and Wellington with this Aerodyne and 3-axle self-steering semi-trailer snapped here at Palmerston North. 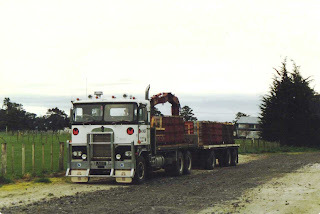 At one stage David Pope of Masterton had this 8-wheeler stock truck in his fleet. 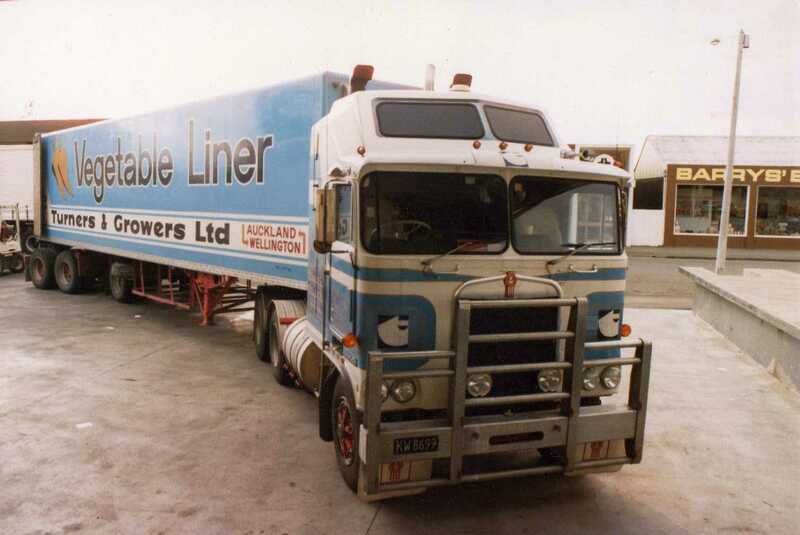 I'm not sure of the significance of the two UK rego plates, on the front bumper. 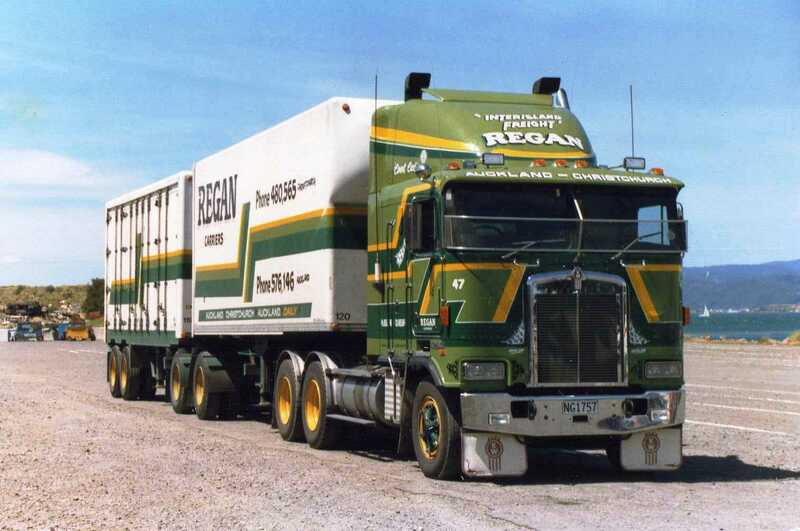 This Regan carriers B-train, with big cab-top air deflector is waiting at the Wellington Ferry Terminal for a crossing to the South Island. do you know that when searching for the L&P Aerodynes only your pictures of barney boy show up on google. from a question i asked in one of the NZ truck forums on facebook I found that one of the guys from STL is restoring it or Little Brown Jug. 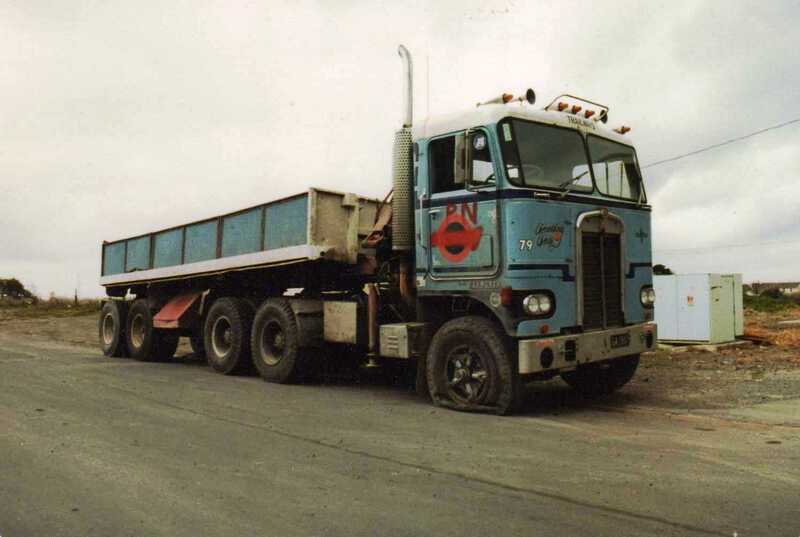 Thank you for keeping the memories alive Do you have any more pictures of the "Liftways" D series swing lifters? 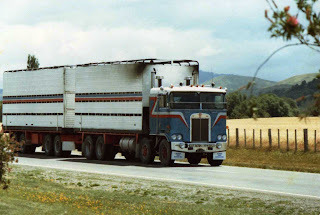 or many any pictures of the Freightways Oshkosh trucks? Thanks, Denby. 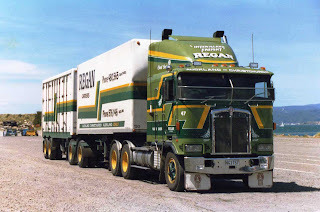 One of them now belongs to Shane Pearson from STL linehaul. Being restored to the original L&P colours and signage. 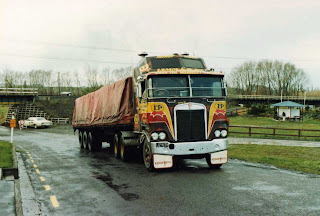 According to Shane's Facebook page showing pictures fo the restoration he said he regularly drove past the sister (Aerodyne) truck at a dismantlers and couldnt leave it there any longer so purchased it and is now restoring the pair of them :-) The question now is what happened to the Turners and Growers Aerodyne?